Great hotel in the heart of Waikiki. One block away from the Waikiki beach, very close to public transportation, restaurants, and the vibrant streets of the area. Excellent room condition and service. Adequate and affordable parking space next to the hotel. Try to get a room in a higher floor to have a view of the city or the ocean (above 7th floor). We will stay again! Confidently located, quid. And the airline staff stays here so you know it's good. What a beautiful place. Great place to relax and enjoy what Maui is famous for. Dinner was great. The Poke was the best! Nice affordable hotel option near Waikiki beach Duke statue and central to lots of action restaurants bars and shopping. Nice hotel in a hot spot location within 3 mins walk to the beach. Great hotel. Terrific view from balcony. Good restaurant off lobby— good food, very clean, reasonable prices. Great location. Room was right next to elevator and it was so loud all night that made it difficult to sleep even with earplugs. The hotel could have provided a gym. The sliding glass door lock was not functional. The tv network system was unavailable for a period of time. The majority of the staff were helpful and cordial. Located in Waikiki, Waikiki Resort Hotel is within a 10-minute walk of popular sights such as International Market Place and Honolulu Zoo. This 275-room, 3.5-star hotel has an outdoor pool along with free in-room WiFi and a 24-hour business center. This hotel is home to 2 onsite restaurants, perfect for a quick bite to eat. Get an energy boost at the coffee shop/café, or grab a drink at the bar/lounge. Start each morning with buffet breakfast, available for a fee from 6:00 AM to 10:00 AM. Guests can expect to find free WiFi and 32-inch an LCD TV with cable channels and a DVD player. The bathroom offers a spring water bath, hair dryers, and free toiletries. Other standard amenities include a furnished lanai, a refrigerator, and a coffee maker. 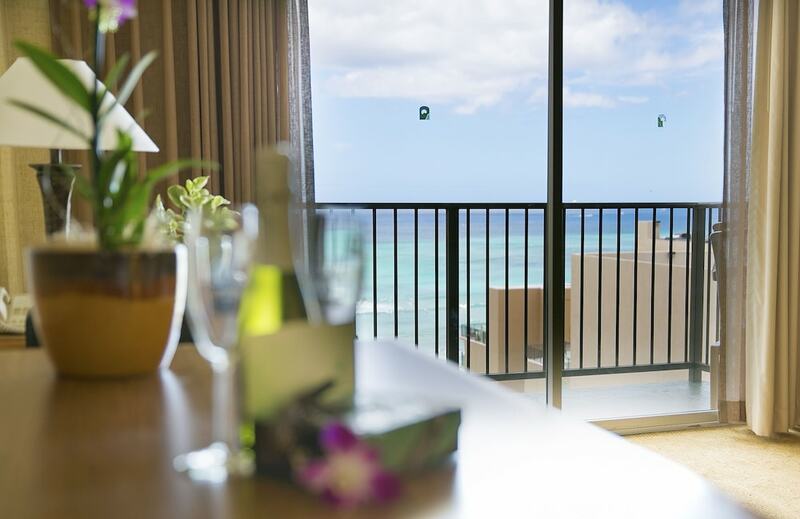 At Waikiki Resort Hotel, guests have access to an outdoor pool, free WiFi in public areas, and conference space. Self parking is offered for USD 29.32 per day. Front-desk staff can answer questions 24/7, and assist with tours or tickets, dry cleaning/laundry, and luggage storage. Additional amenities include a 24-hour business center, a computer station, and express check-out. Mahalo for the wonderful feedback. We appreciate your business and hope to welcome you back in the future. Mahalo for staying with us and taking the time to give us a 5-star rating. We really appreciate it! Mahalo for staying with us and recognizing the hard work of our friendly staff. It was a pleasure having you. Buffet breakfast is served daily from 6:00 AM to 10:00 AM for a fee. Recreation features at Waikiki Resort Hotel include an outdoor pool.